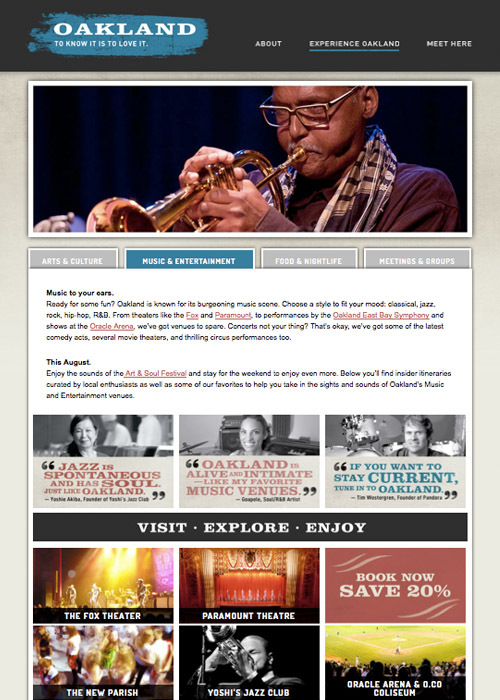 Visit Oakland is the convention and visitors bureau for Oakland, California. The city is seen by many tourists as an also-ran to its world-famous neighbor across the bay, San Francisco. 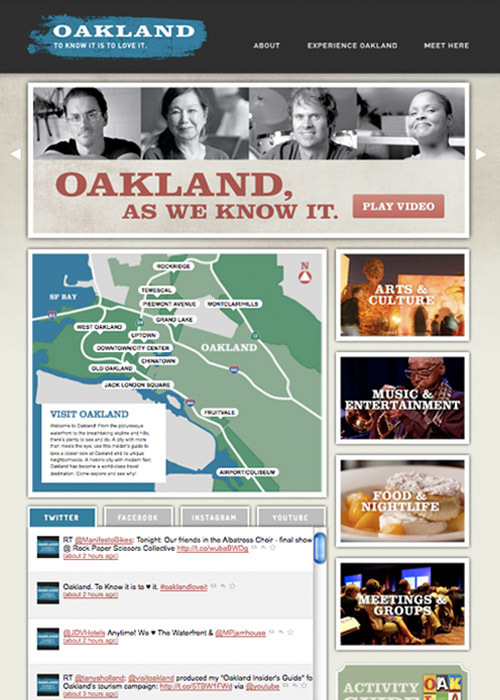 Oakland also was suffering from media coverage as a high-crime, high-poverty community in turmoil. 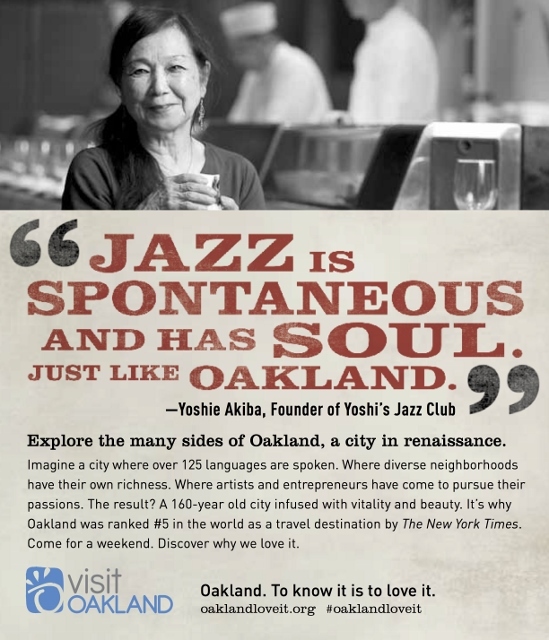 Yet Oakland is a cultural powerhouse and a natural beauty, with more artists than any city west of the Mississippi, more new restaurants than you can count, a vibrant music scene, and miles of scenic shoreline and hiking trails. 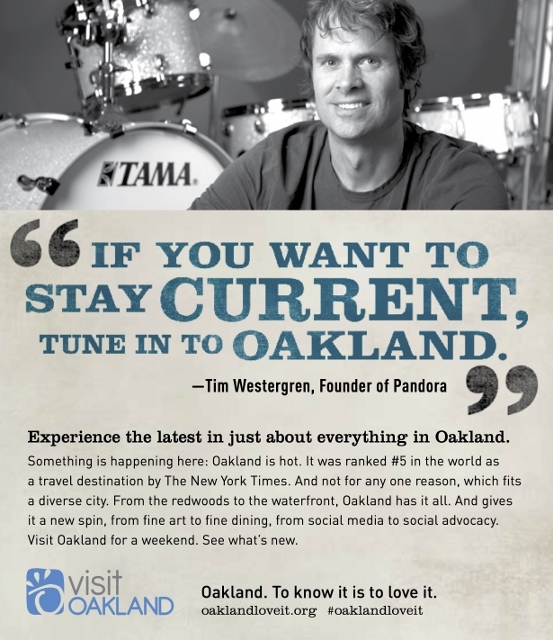 We enlisted celebrities to talk about the Oakland they know and love. We shared local knowledge. We celebrated the diversity and energy that has transformed this blue-collar port city into a world-class destination. 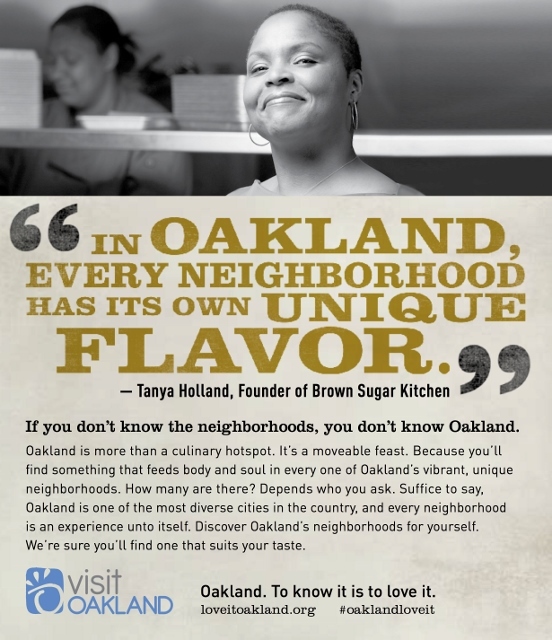 Since the campaign, Oakland has continued to flourish. In 2012, the New York Times ranked it number 5 in “must visit” places. 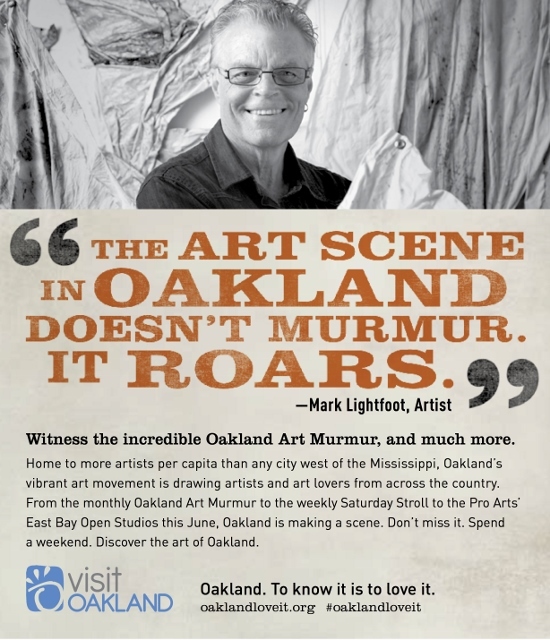 In 2013, the Huffington Post called it the Most Exciting City in the Country. Hotel occupancy rates are at an all-time high. 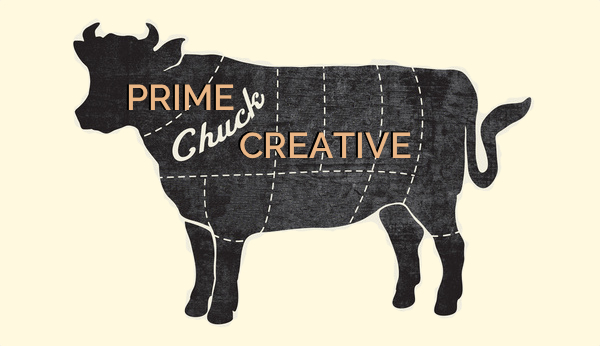 The downtown is revitalized. Art and music festivals fill the streets. It’s truly a city in renaissance.